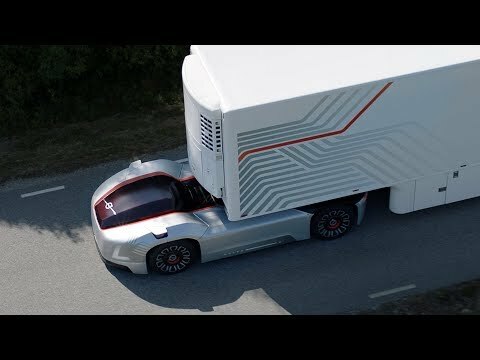 Vera is an autonomous, electric and driverless vehicle that can operate with significantly less exhaust emissions and low noise levels, according to Volvo. It is controlled and monitored via a cloud-based service. Vera combines the benefits of three big technological areas – automation, connectivity and electromobility – to create optimal flows in transportation and logistical operations, Volvo says. The operation is handled by autonomous electric vehicles equipped with sophisticated systems for autonomous driving. They are designed to locate their current position to within centimetres, analyse what is happening with other road users, and then respond with high accuracy. Each vehicle is connected to a control centre. The transport control centre continuously monitors the progress of the transport and keeps an accurate watch of each vehicle’s position, the batteries’ charge, load content, service requirements and a number of other parameters. Vera is designed for regular and repetitive tasks, over short distances, where large volumes of goods need to be delivered with high precision, such as in ports, factory areas and mega-logistics centres. Vera has been developed for a specific type of application but has the potential to expand into other types of applications in the future, Volvo says.